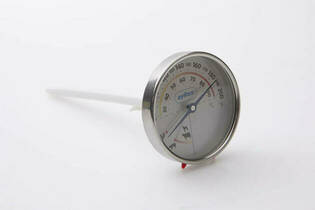 Snapshot: The Zyliss Meat Thermometer 1441 has a 12.5cm probe and is oven safe. How accurate is it? Good size display with basic cooking guidelines. All stainless steel so take care when removing from oven.